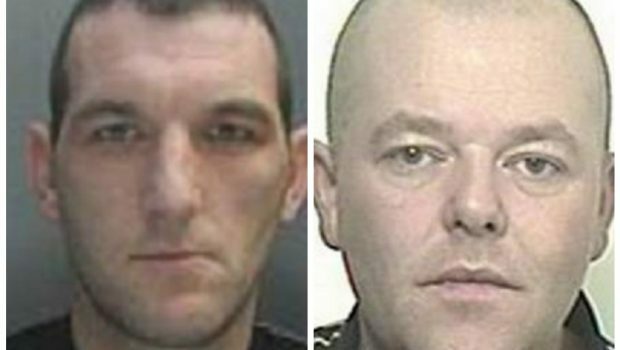 Two career criminals who blew up cash machines in a string of raids across the north-east have launched a bid to clear their names. Joseph McHale, 38, and Kevin Schruyers, 43, were part of a three-strong Liverpudlian gang who struck in Stonehaven, Inverurie, Aberdeen, New Deer and Ellon, stealing £130,000 in two months. The pair denied the allegations against them but were convicted of blowing up a machine at the Royal Bank of Scotland in Turriff on September 18, 2013, and stealing £21,020 and blowing up the cash machine at Scotmid Co-operative in North Deeside Road in Aberdeen on September 19, and stealing £112,000. The jury also found them guilty of blowing up four ATMs in Ellon, Stonehaven, Inverurie and Aberdeen and attempting to steal from them. The duo were also found guilty of attempting to break into a cash machine in Mintlaw by using a crowbar. McHale was sentenced to 12 years and six months behind bars, while Schruyers was jailed for 13 years. Meanwhile, co-accused Robin Vaughan – who admitted being a part of the Turriff, North Deeside Road and Mintlaw offences – was sentenced to 11 years in jail which was reduced by 12 months on appeal. Judge Lady Scott described the gang as “career criminals” who had endangered the public. During the trial, the jury heard the trio were snared thanks to police intelligence. The focus of the investigation shifted to Liverpool after a number of Scottish bank notes started to circulate in the Merseyside area. Many of them had edges cut off to try to remove the signs of red security dye they were stained with when the ATMs were blown up. McHale and Schruyers’ case is due to call at the Court of Criminal Appeal in Edinburgh on Friday.